Now here is an inspiring track to start your day from 22-year-old South African newcomer James Deacon. Growing up in Johannesburg, the multi-instrumentalist learned to play the violin from the age of four and the guitar at ten until a life-threatening accident severed his tendons in his right arm, forcing him to give up on playing the instruments he loved. Not deterred by this and through his own sheer determination to do something he loved he set about writing and recording his own music. The outcome is this glorious upbeat and gritty first release from his debut EP The Calling. 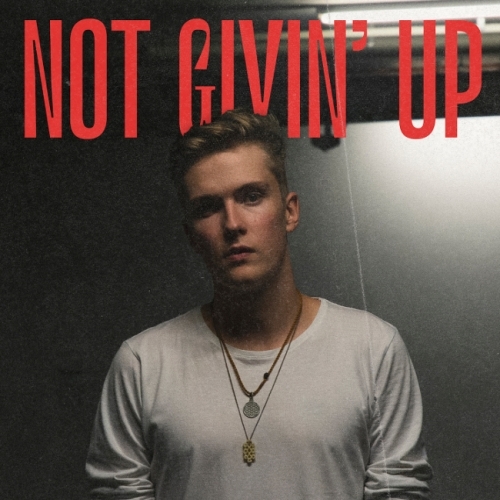 Premiered on Clash last week and featuring on his homeland’s Apple Music Best of the Week and Deezer Brand New playlists, Not Givin’ Up is an emphatic affair combining vocals laced with rap and tenor-flecked melodies with lush and evolving production. From the soaring piano melodies to the funky bassline and soul-tinged grooves, everything gels seamlessly together for a rather gorgeous and addictive listen. It’s quickly picking up online tastemaker support from the likes of Indie Shuffle, Earmilk, and Born Music among others, as well as radio play on 5FM in his native South Africa. With a sound ripe for UK radio and streaming, James Deacon is an artist to watch out for in 2019. For fans of Tom Walker, Rag’n’Bone Man and John Newman.